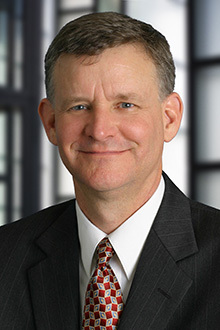 Jeffery Bairey is a partner in the San Francisco office of Lewis Brisbois and vice-chair of the Transportation Practice. His practice focuses on the defense of serious personal injury claims including transportation and trucking, products liability, wrongful death and premises liability. Mr. Bairey also handles high exposure cases involving property damage from fire and water. Mr. Bairey has extensive experience in serious personal injury claims including brain injuries, quadriplegia, loss of limbs and wrongful death arising from a wide range of incidents including those arising out of trucking and commercial auto accidents, premises accidents, construction jobsite accidents, and product accidents such as power tools, scaffolding, ladders, propane tanks, buses and motorcycles. Mr. Bairey has tried more than 15 cases to defense verdicts in California Superior Courts and Federal District Courts in commercial trucking, catastrophic fire loss, products liability, premises liability, breach of contract, and professional malpractice cases. Numerous client and in-house presentations - topics include punitive damages, California trial court venues, California insurance regulations certification, indemnity and additional insurance, non-delegable duty and peculiar risk. Former newsletter editor for DRI Products Liability Committee on Manufacturer’s Risk Prevention.